Baby will sleep peacefully with this lovely gift set, which includes three Kate Quinn Organics newborn essentials: an infant sacque with coordinating knot hat and receiving blanket. 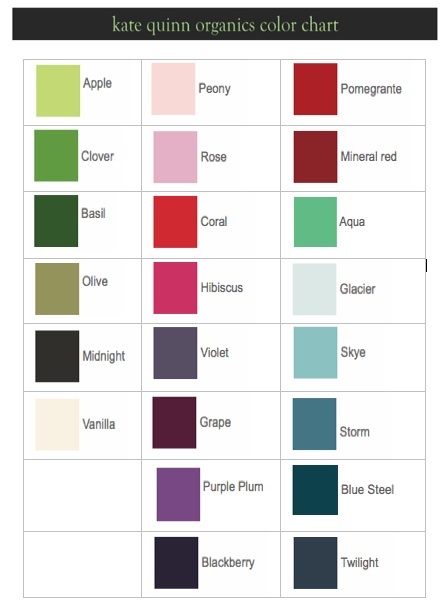 All three items are 100% certified organic cotton in a stylish and unique palette of colors. Ask any mom and she will tell you that infant sacques (also known as baby gowns) and hats are a must-have in the early months. The long gown keeps baby warm, while the elasticized bottom makes diaper changes so quick and easy, your sleeping baby might not even stir. 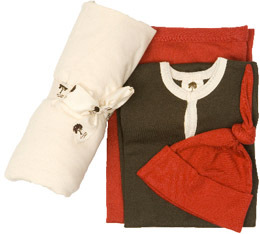 The gown's reversible handmitts not only warm baby's little hands, but also keep him or her from scratching themselves. 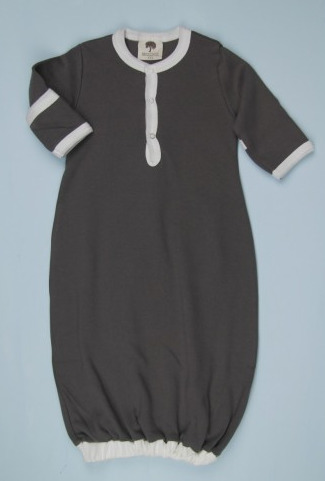 The large placket of snaps on the front of the gown makes dressing baby in this soft, cozy gown easy. The sweet knot hat is essential to preventing heat loss and ensuring that baby doesn't waste energy needed to develop his or her brain while trying to stay warm. And the receiving blankets are big enough for the crib, but their soft organic cotton jersey make them a great choice for stuffing into a diaper bag for on the go. This blanket is great for swaddling, but we also love using it for the stroller, car seat, and for laying on the floor so baby can have a little tummy time. This gift set's price saves you over 5% versus buying the items individually! 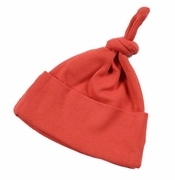 However, the infant sacque, knot hat, and receiving blanket are available for individual sale. This gift set is an excellent value for a parent shopping for newborn essentials or for someone in search of a thoughtful, useful organic gift. Chemical-Free and Nickel-Free Clothes: Kate Quinn Organics uses dyes that are chemical-free, naturally reactive colors. These dyes are free from heavy metals and halogens. In addition, the infant sacque's snaps are nickel-free. Nickel can cause skin allergies when it contacts skin, and nickel dust from the refining and processing of nickel can cause cancer and breathing problems among nickel refinery workers.